Do Florida Estates Owe Estate Taxes? Florida is one of seven states that does not collect a state income tax, and it doesn't collect an estate tax at the state level, either. Things were different several years ago, however, before major changes took effect with regard to federal estate tax laws. Prior to Jan. 1, 2005, Florida actually did collect an estate tax at the state level. It was called a "pick-up tax" or "sponge tax," and it was equal to a portion of an estate's federal estate tax bill. What Is a Pick-Up Tax? The pick-up tax or sponge tax was based on a state estate tax credit that the IRS used to allow on the federal estate tax return. Each state had different tax laws with regard to the pick-up tax, so the amount that a state would collect varied based on that state's laws. An estate's overall estate tax bill was not increased or decreased due to the pick-up tax. Instead, the total tax bill was apportioned between the IRS and the state taxing authority. A portion of the federal estate tax was actually taken away from the IRS and instead paid to the decedent's state taxing authority. 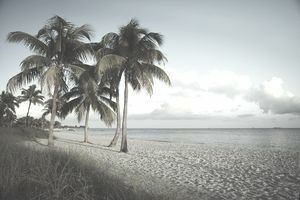 The Florida Department of Revenue collected the pick-up tax from the deceased Florida resident's estate until January 2005 if the deceased owed federal estate taxes. The pick-up tax was officially phased out under the provisions of the Economic Growth and Tax Relief Reconciliation Act (EGTRRA). It was supposed to return in 2011 under the provisions of EGTRRA, that didn't end up happening because the Tax Relief, Unemployment Insurance Reauthorization and Job Creation Act of 2010 (TRUIRJCA) was then passed. The TRUIRJCA reinstated federal estate taxes but did not bring back the pick-up tax. The provisions of TRUIRJCA were set to expire on Dec. 31, 2012, which would have brought the pick-up tax back in 2013, but Congress and President Obama acted in early 2013 to pass the American Taxpayer Relief Act (ATRA). Under the provisions of ATRA, the rules governing federal estate taxes as set forth under TRUIRJCA were made permanent. This meant that the pick-up tax was not resurrected in 2013 and it will not come back in future years without further action by Congress. Some states that were collecting a pick-up tax enacted laws that would allow them to still collect a state estate tax all their own. This was referred to as "decoupling" because these states no longer based their state estate tax laws on current federal laws. But the majority of states did absolutely nothing and they therefore no longer collected a state estate tax. Florida was one of them, but it's unique in that the state constitution actually prohibits the legislature from enacting a Florida state estate tax. So don't expect Florida to begin collecting a state estate tax anytime soon because a constitutional amendment would be required to allow it. Although a Florida estate does not have to pay a tax to the state, it might still be liable for an estate tax at the federal level. This applies only to very valuable estates, however, because the 2018 federal estate tax exemption is $11.18 million. This means that the first $11.18 million of an estate's value is tax-free. Only the value over this threshold is taxable at the federal level. A Florida estate might have to file some forms with the government even though Florida has no estate tax and even if the estate does not owe a federal tax. But these forms are more or less a matter of just going through the motions. No tax money will change hands...at least not with Florida. Florida Forms DR-312 and DR-313 unequivocally state that no Florida estate tax is due. The first is applicable when a federal estate tax return does not have to be filed, and the second is for use when a federal return is being filed. Both forms serve to release any liens against the decedent's Florida property and they should be filed with the clerk of the court in the county where the property is located. They're something of a holdover from the days when Florida collected a pick-up tax. Does Florida Collect a State Inheritance Tax? Florida does not currently collect a state inheritance tax, either. This is a tax assessed against the share of an estate received by each individual beneficiary, unlike the estate tax which is assessed against the entire estate. This only applies to bequests made from Florida residents, however. You can still be liable for an inheritance tax if you live in Florida and inherit from someone who lived in one of the six states that do impose an inheritance tax as of 2018. Some exceptions apply for very close relatives, however. You won't owe income tax on the inheritance, either, because Florida does not have an income tax, and even the federal government acknowledges that most inheritances are not income for taxation purposes. An exception exists for certain retirement accounts, however.